Happy First Day of Summer! I made a quick card in honor of Summer using A Dozen Thoughts stamp sets with the new In Colors and used some punches in an out of the box way! I've not been around the past few days because I've been working on my designs for the Summer Session of Inky Fingers! Registration starts next week and I'll have more to share with you then! Now back to my card! I used the In Color 2013 - 2015 DSP along with the Petite Pennants Builder and Cupcake Builder to make a fun card. The size of my card today was dictated by the sizes of the punches. My card size is 4 1/2" square card, I didn't have time for this post but I will have to make a coordinating envelope using one of In Color DSP. Here's my finished card. 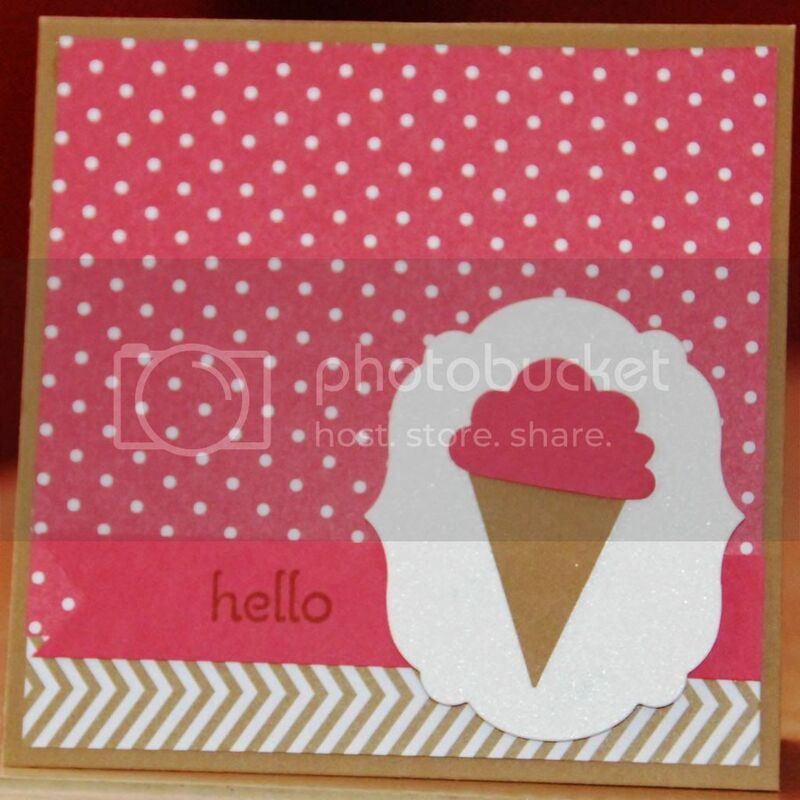 I used the Cupcake punch to make the scoop for my ice cream and used the Petite Pennant punch for my cone. Isn't it great when you can extend the use of your tools for other ideas that intended!